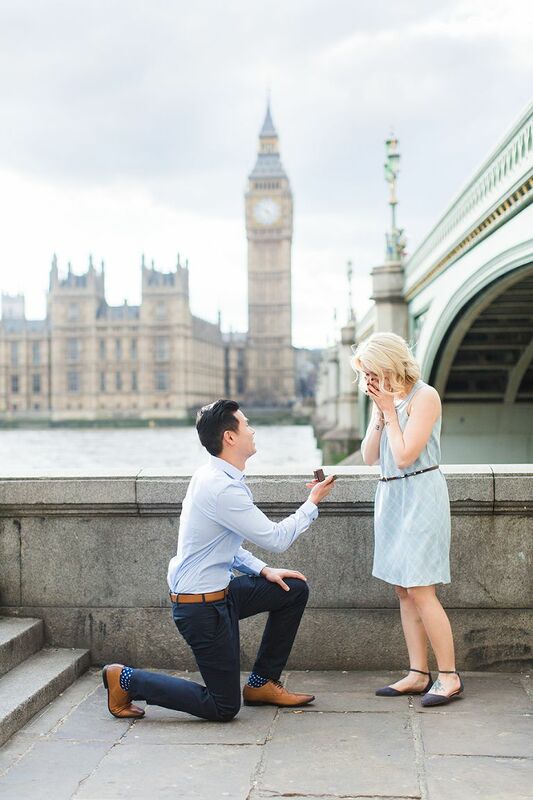 Want to create an unforgettable marriage proposal? 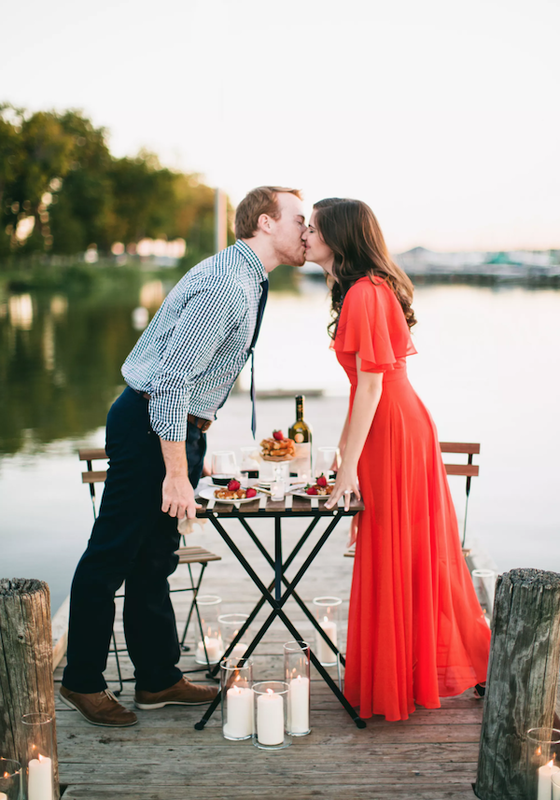 We’ve compiled some of our favourite wedding proposal ideas for you and your loved one. Whether you want something simple, private, romantic or extravagant – we’ve got you covered. A wedding is all about new beginnings, so why not take your partner somewhere new and unexpected. Whether you go for food, a holiday or even to the theatre, your partner is unlikely to expect a marriage proposal when you’re already doing something new and exciting. 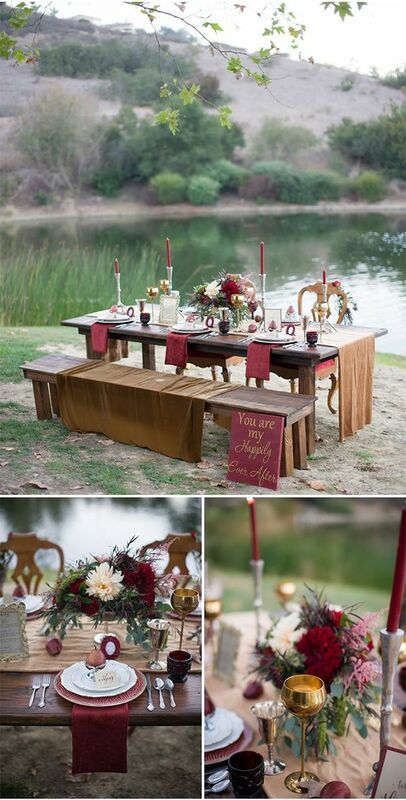 Pack your partners favourite foods and choose a romantic setting to propose. 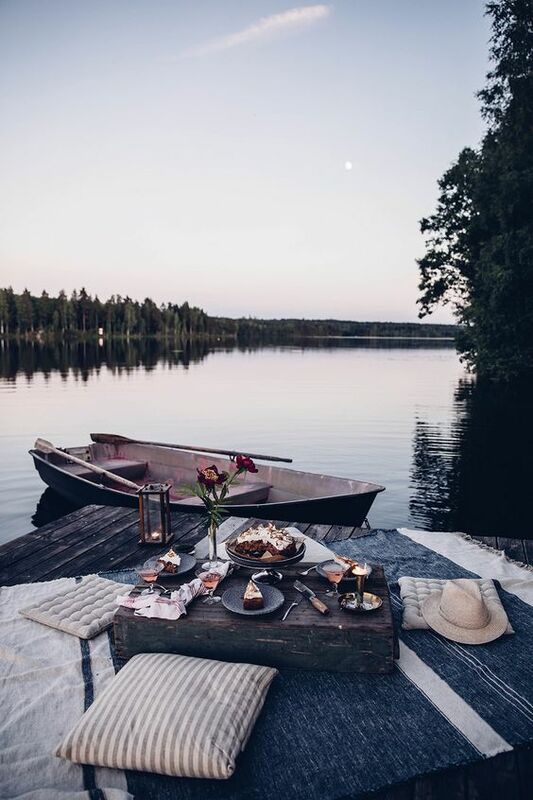 You could have the picnic at the place that you first met, or where you both love to visit and use your favourite foods. 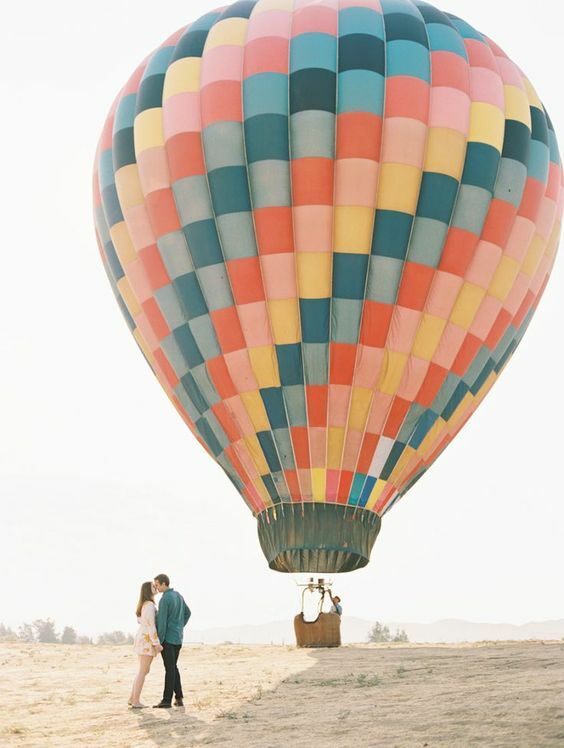 Ascend into a romance with a hot air balloon proposal. Float around the sky with your lover in the arm, however, you best be careful, this may not be the best idea if you’re scared of heights, and you should definitely keep a tight grip on the ring! If lazy Sundays are your favourite day of the week, why not surprise your loved one with a home cooked (or shop bought if you are a terrible cook!) breakfast of their favourite foods. A glass of bucks fizz and an English breakfast sound perfect to us! If you and your spouse are focused on living sustainably, then why not reflect this by proposing in an eco-friendly manner. You could use the outdoors to propose in one of your favourite settings, or you could recycle a second-hand wedding ring. Another idea is to use sustainable resources such as seeds; you could plant a tree to acknowledge how your love has grown and will continue to blossom. Use props to propose. Ideas could be a confetti balloon, personalised t-shirt or a fortune cookie with the proposal hidden inside. If you’re not always the best with your words, perhaps, a romantic gesture through a prop is the way for you. If you both have a love for a sport, use this to your advantage. 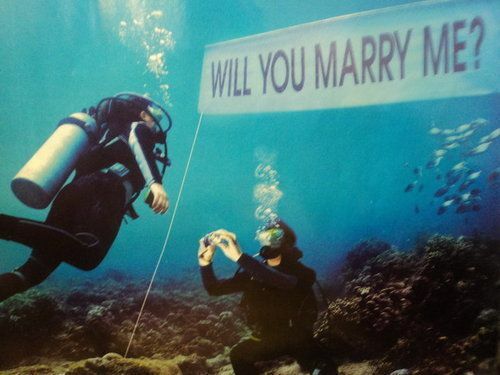 Make your creative marriage proposal even more memorable by planning on your favourite hike or bike ride. 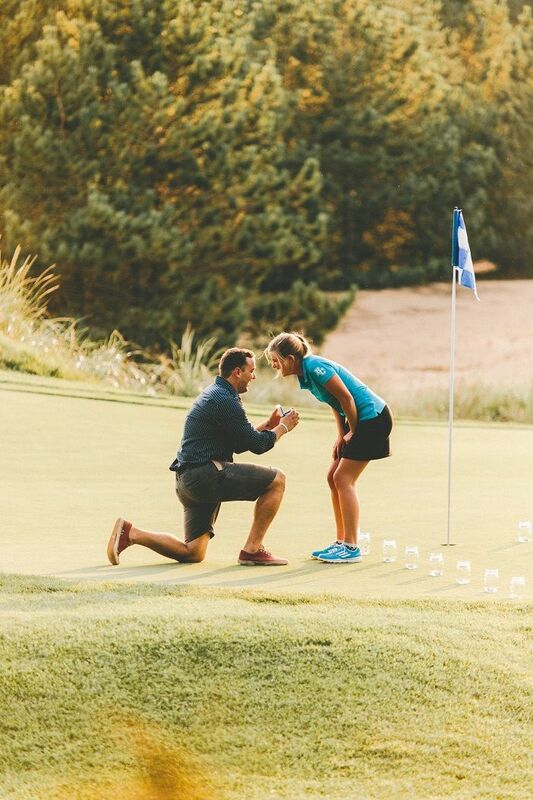 The scenic view and your passion for a sport will make this simple proposal ideal for a minimalistic approach. One adorable way to propose could be done on Easter. 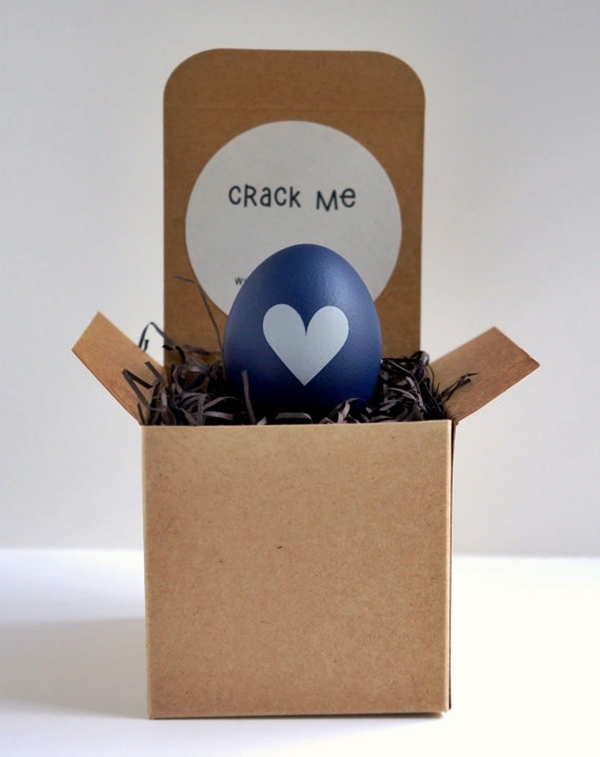 A simple Easter egg scavenger hunt with the final egg having your ring hidden inside. This creative proposal is unique and certainly an Easter surprise. Alongside your partner, you may have another love in your lives, your pet. A fun proposal idea is to get them involved, why not tie a bow around your pet’s collar with the ring box attached. 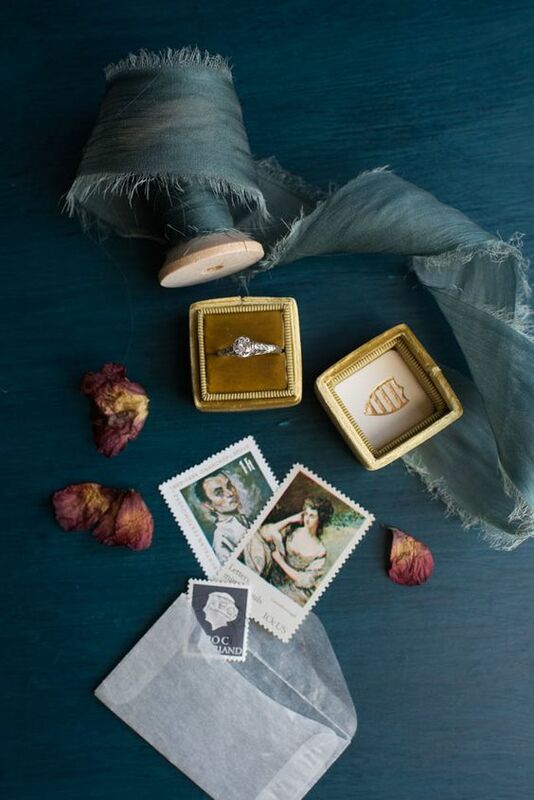 Make your love blossom, by this classic proposal idea – with flowers. 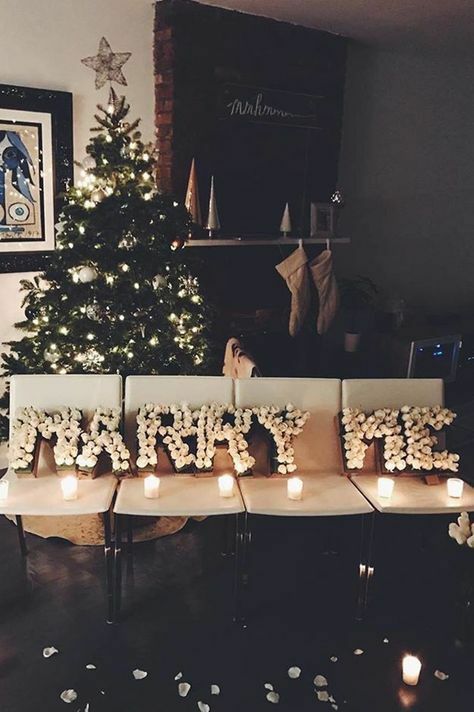 One simple and classic proposal could be the trail of flower petals on the floor in your home leading towards the living room, with candles, flowers and music. A delicious meal cooked and the ambience in the room, this romantic proposal is bound to guarantee a YES. 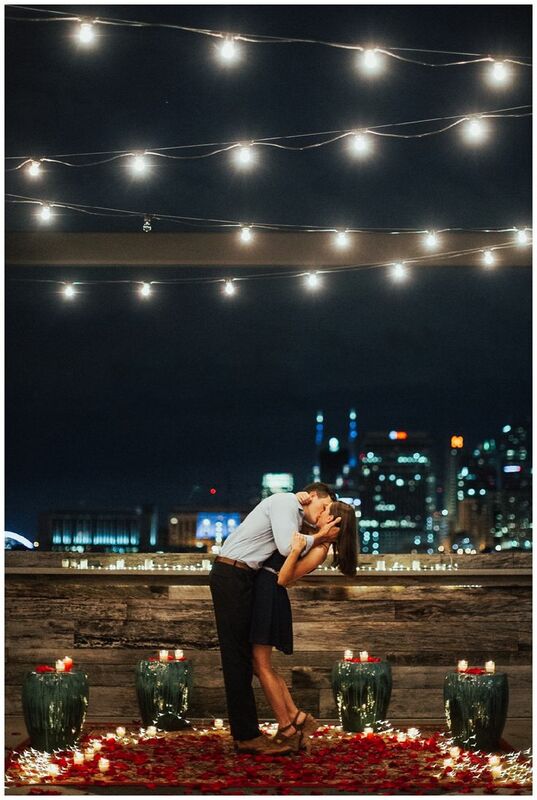 A perfect wedding proposal under the stars with a soft summer breeze and the light of the moon. You could watch the sunset on a beach, take a late night stroll or even a trip to the northern lights. 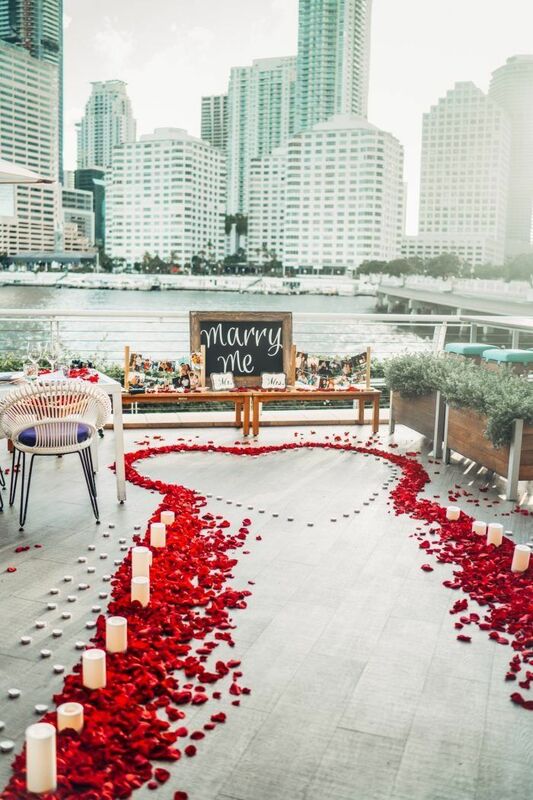 This proposal idea is bound to make your partner starstruck. Cupid may have shot you with his arrow at the start of your relationship so proposing on valentine’s day may be the way to go. Think pink, love hearts and the sound of romance filling the air. If you have children or young siblings, why not get them involved in the proposal. Personalised t-shirts and handmade signs are just a couple of ways your children could be incorporated. You could book a tranquil retreat in the countryside or a mini break somewhere abroad. In fact, why not go to Rome or, the city of love itself, Paris. Definitely, an extravagant proposal idea is to ask your love to be your wife on a balcony overlooking Rome’s beautiful views. 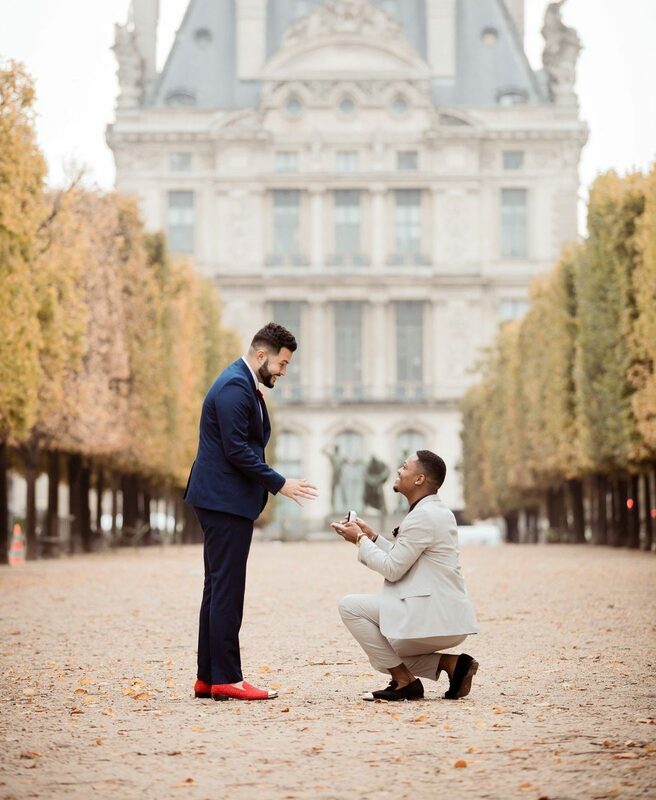 Or an iconic proposal in front of the Eiffel tower is bound to impress. 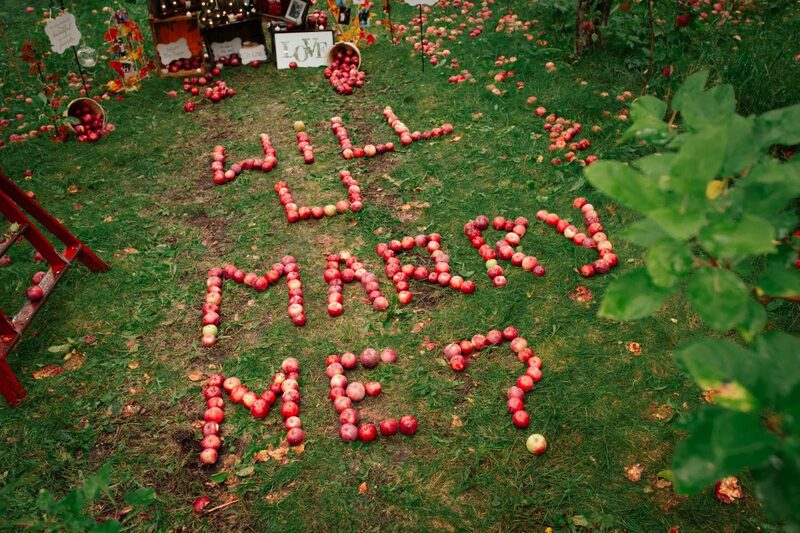 Our favourite among creative proposal ideas is reenacting a scene from your partner’s favourite film. 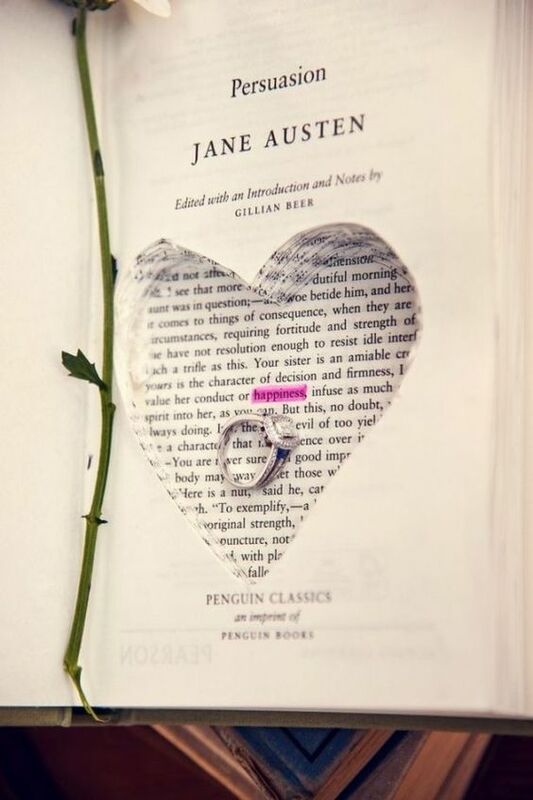 Iconic moments from films like Love Actually, Pretty Woman and Pride & Prejudice are always a fun way to propose. 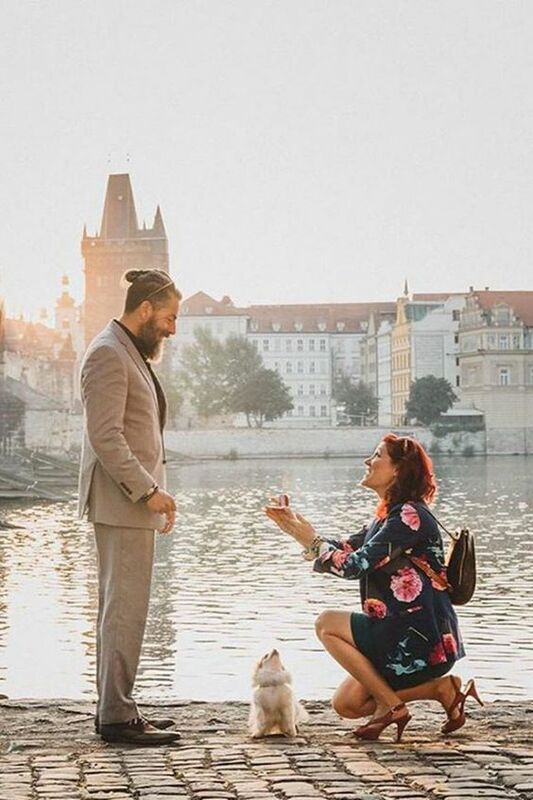 Make your own history by proposing in a historical spot. Some British proposal ideas could be a Scottish castle, London art gallery, museum or a stunning garden. 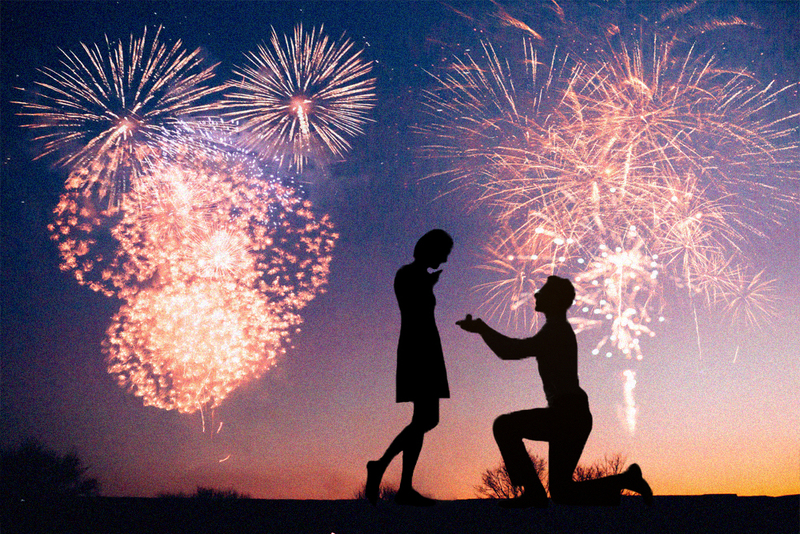 With parades filling the streets, glitter and rainbows everywhere this proposal is perhaps the most colourful yet. 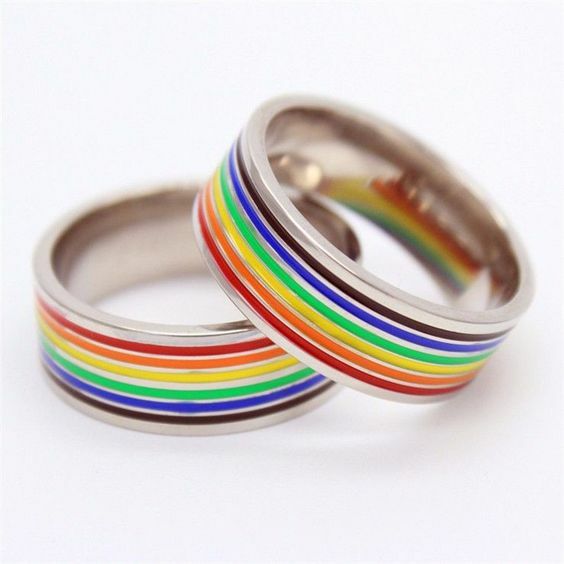 If you are part of the LGBT+ community why not propose at pride to your loved one! The colder weather may not be for you, so why not get out the board games, the cheese board and open the wine. 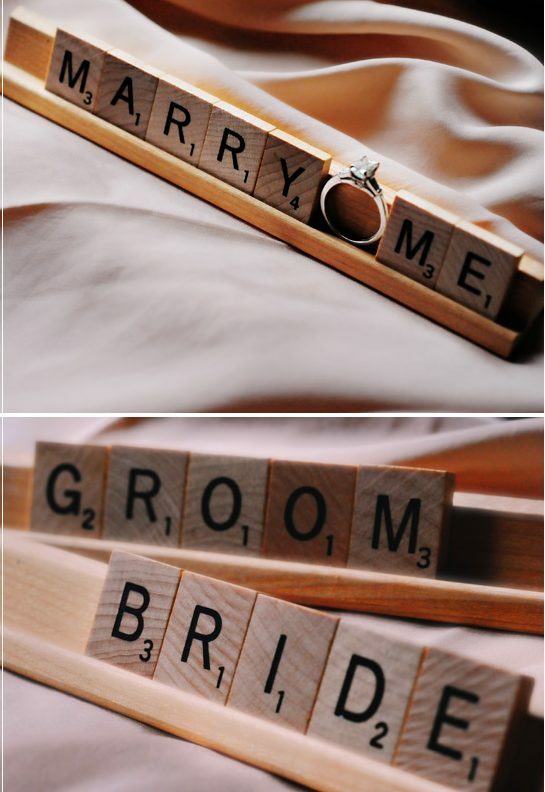 While playing your favourite game you could edit a monopoly card or spell out will you marry me in scrabble. If you have both decided you wish to get married, why not change up the idea of proposing and go ring shopping together. Let’s hope you can agree on a ring! Anchor down the love of your life with a surprise proposal on a boat. You could hire a room in a hostel boat, a luxurious yacht or even a party boat with friends and family. This proposal is bound to rock your partner’s world. 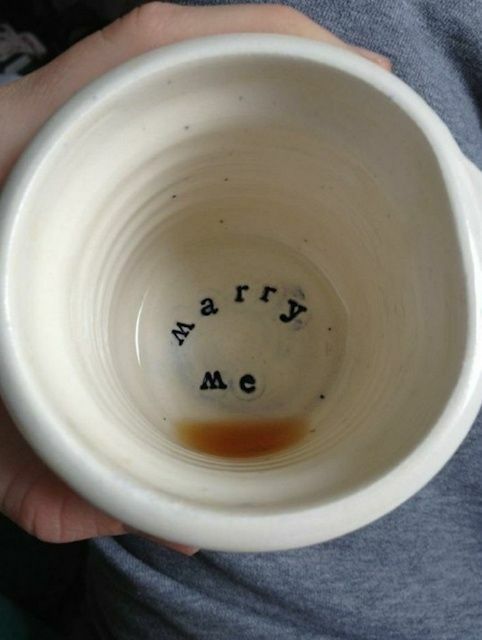 A simple, yet romantic proposal idea. 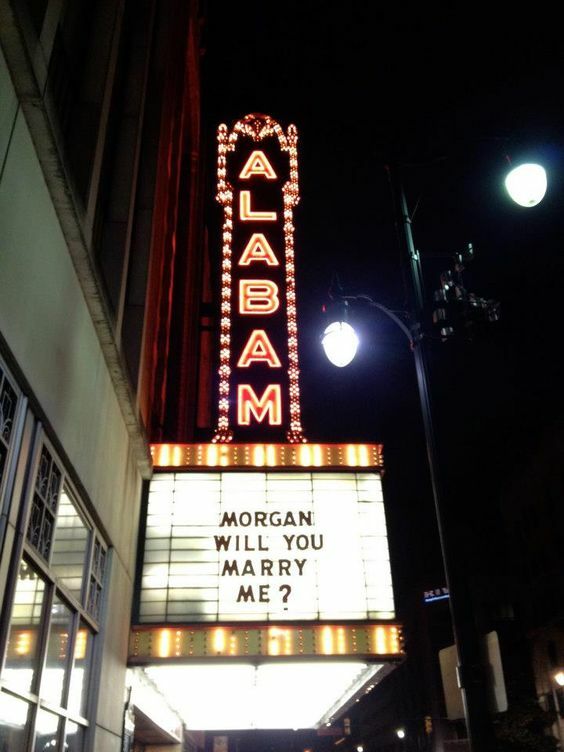 If you both have a love for the cinema why not propose when on a movie date. 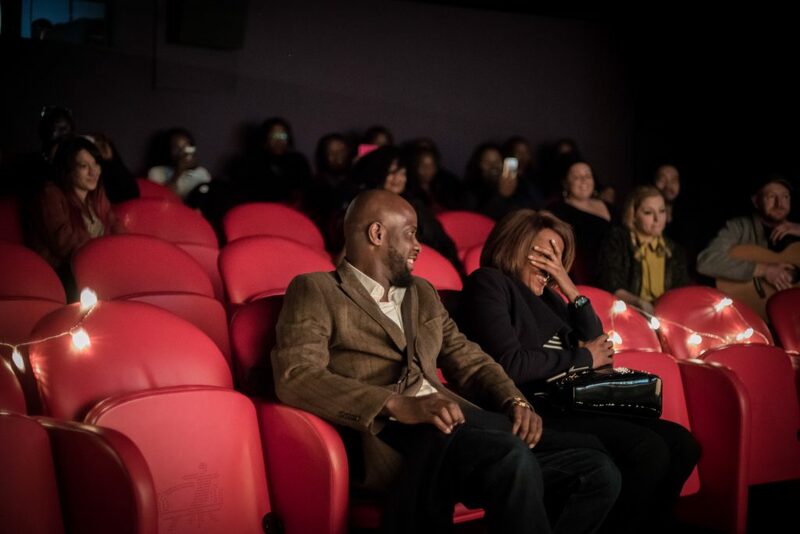 Perhaps a cinema date was your first date and you wish to recreate it if so grab the popcorn and the ring and surprise your date when they least expect it! If you have a love for marine life and sports then perhaps this is the proposal for you. Why not take your spouse on a scuba diving session around your favourite island on a romantic getaway. Let’s hope they say yes or your romantic dreams may be sleeping with the fishes. If you and your spouse are family orientated this is the proposal for you. 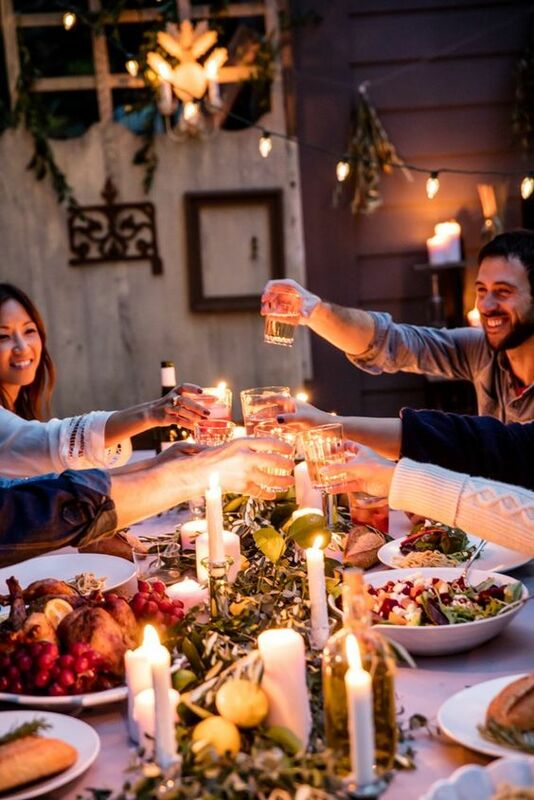 Gather all your loved ones around the table to share a delicious meal and, when dessert comes along, surprise them with a ring. 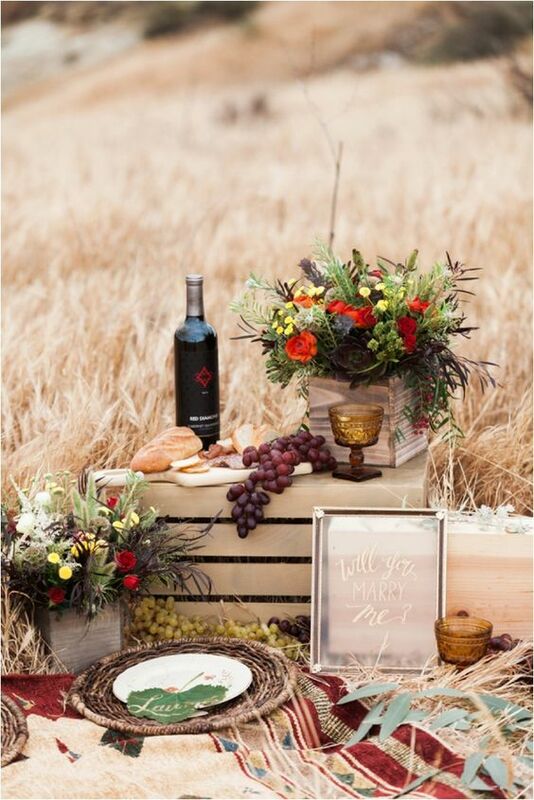 Why not go full cliche and hide the ring in the dessert or wine. Write a poem to your spouse, if you both love books this idea may be for you. Create a poem about your relationship with the ending being will you marry me. Why not capture the surprise on your partner’s face when you propose while using photo booth. Whether you hire a photobooth for an event or go to your favourite venue that owns one this is certainly one of our favourite ideas. The cute print out will always be there to remind you of that special moment, you’ll even be able to share this special moment with your family and friends. Perhaps you and your partner have a love of magic, or even bonded over Harry Potter or Merlin. 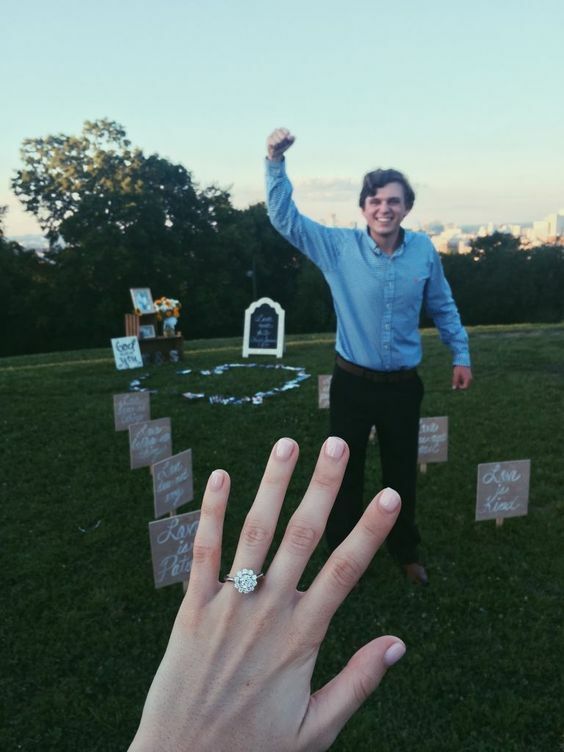 If this is the case, why don’t you incorporate magic into your proposal! 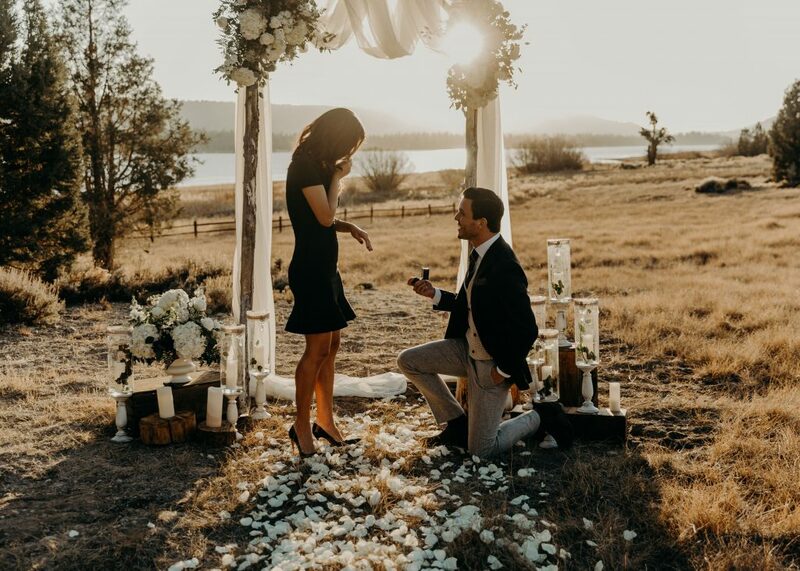 Whether you learn a magic trick for your proposal, hire a magician, or watch a movie marathon of your favourite magical films, this proposal idea is bound to captivate your partners attention, and heart. 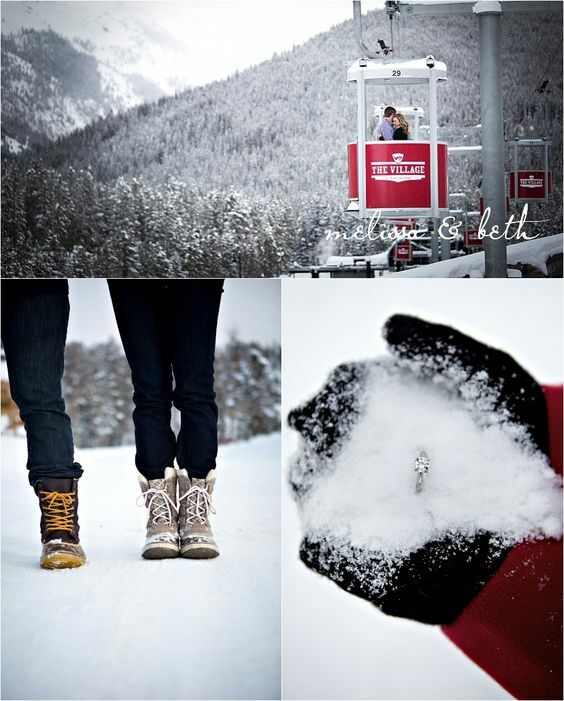 If you love skiing and the snow this proposal may just melt your partners heart. Why not go on a romantic getaway to a skiing resort with yur beloved; propose in the scenic views, or in the comfort of the chalet. 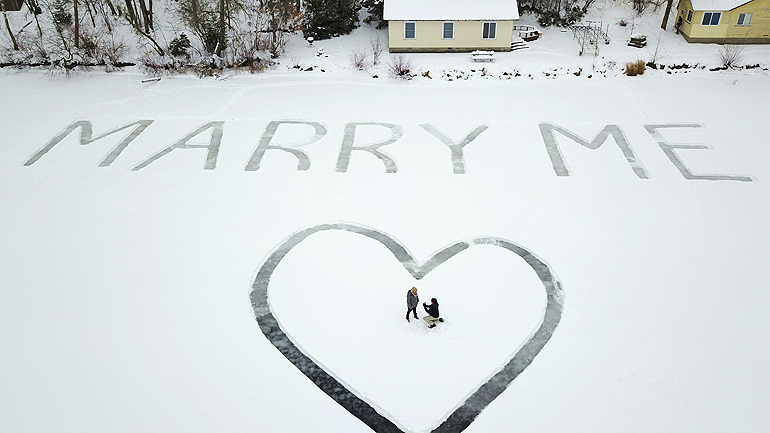 *Disclaimer; we don’t suggest proposing whilst skiing down a hill as this is dangerous, and rather stupid. It’s okay if cooking a romantic meal, or anything that isn’t beans on toast isn’t for you. If you’re not a great cook, no worries! How about you hire a private chef to cook your favourite meal in the comfort of your own home. You could even recreate your first date meal! 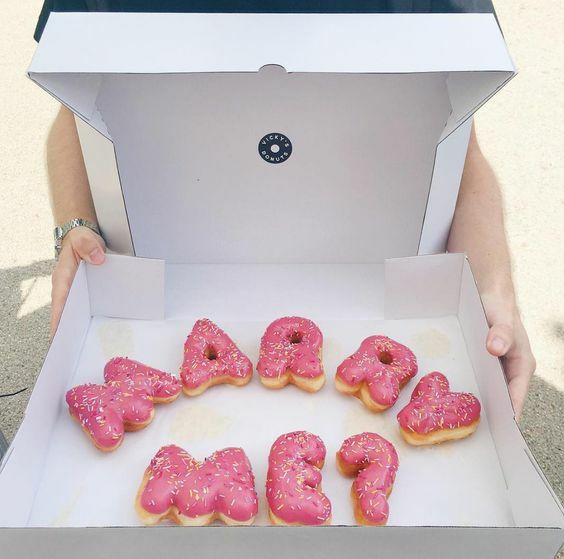 On Poptop we have hundred of private chefs who are bound to be able to create this perfect proposal for you. Why not follow tradition and ask for your spouse’s parents permission. 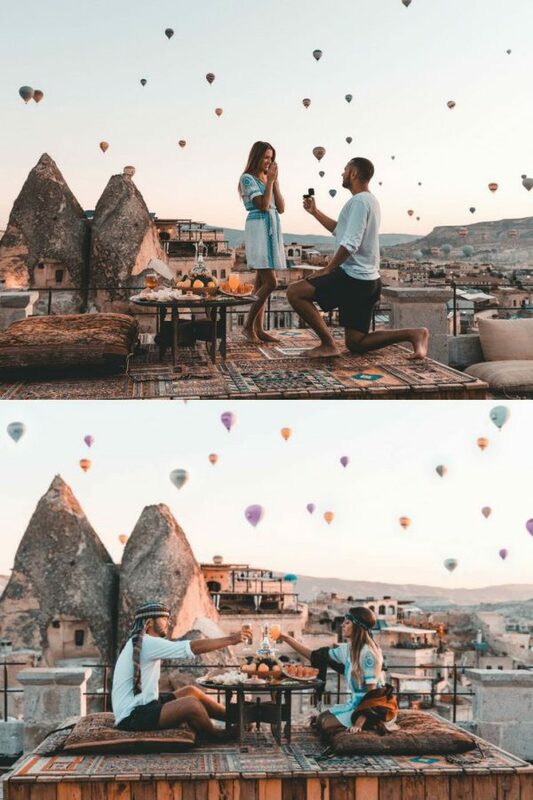 You could even video the moment and create a montage to use in your proposal, this idea is certainly one that will get you in your spouse’s parents mind. If you’re wanting a classic proposal, why not order your partner’s favourite flowers and propose with them. Whether you propose with a bouquet or lie rose petals over the floor with candles, this idea will certainly make your spouse’s love bloom. 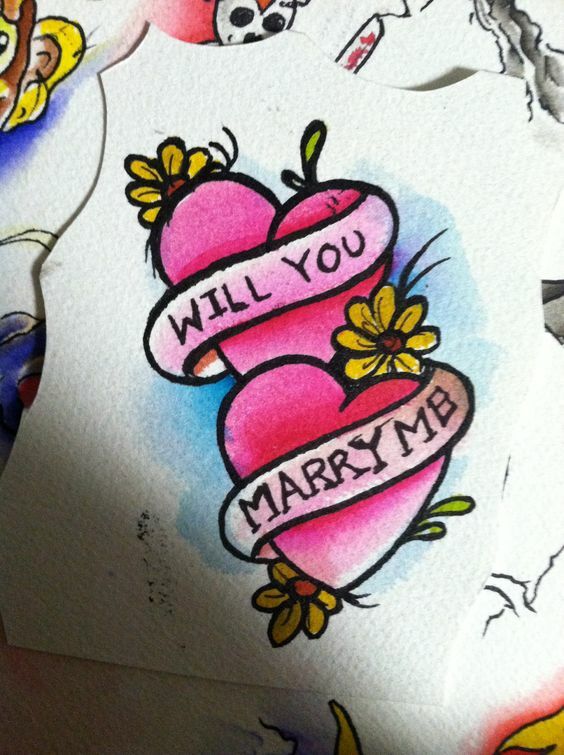 Perhaps you’re a little more eccentric and want to propose in a style that is certainly going to shock your family and friends; if this is you then why not tattoo the proposal onto yourself and get your partner to respond. This proposal is surely not for the faint of heart….and for your sake let’s hope they say yes! If you and your beloved love to LARP or cosplay then this proposal may be the one for you. Why not recruit your friends and family and create a storyline from scratch for your significant other. One of our brighter proposal ideas involves the incorporation of light. 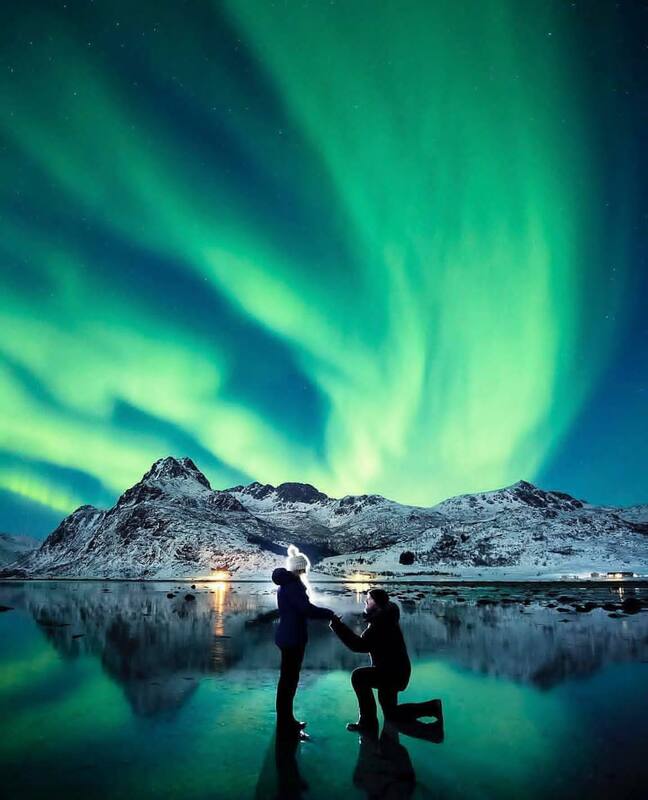 If your partner is the light of your life then perhaps a proposal with a light show is the one for you! In the winter, when the Christmas light switch on starts, why not use them to your advantage. 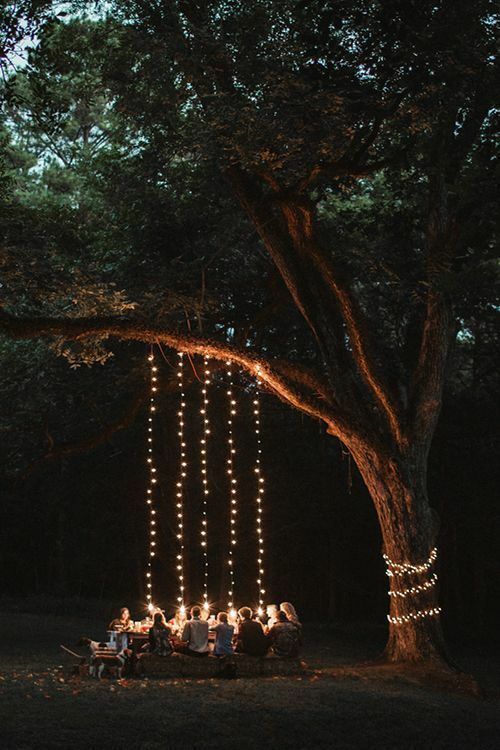 You could use outdoor and fairy lights to spell ‘will you marry me’ for your partner, incorporate your proposal with a light switch on and you could even use a beautifully lit room or garden as a part of your proposal. This one is pretty self-explanatory, just throw a party, because let’s face it, we all love a good party. Do we need to say anything else? 35. Flashmob?! Do we need to say anything else? 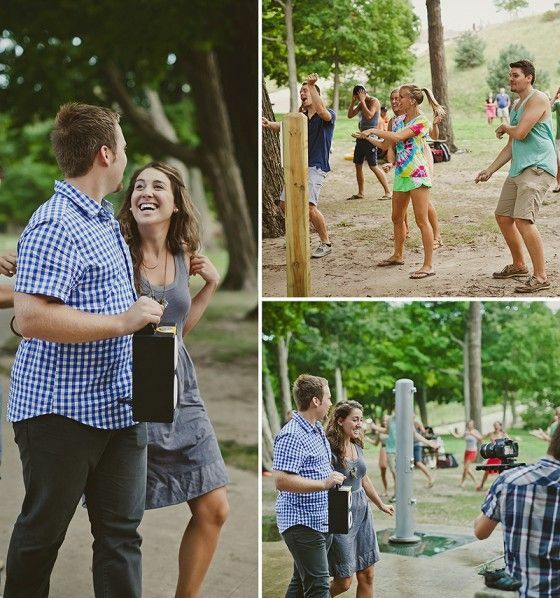 It may be a little cheesy, and one of the most eccentric proposal ideas, but a flash mob is sure to wow your partner. You could enlist professional dancers to perform or you could ask your friends and family to perform a dance. 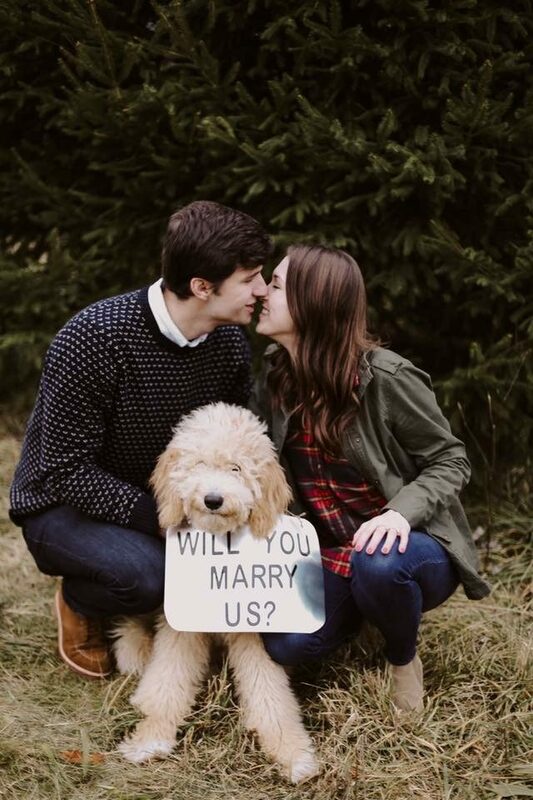 Embrace the outdoors for your proposal. 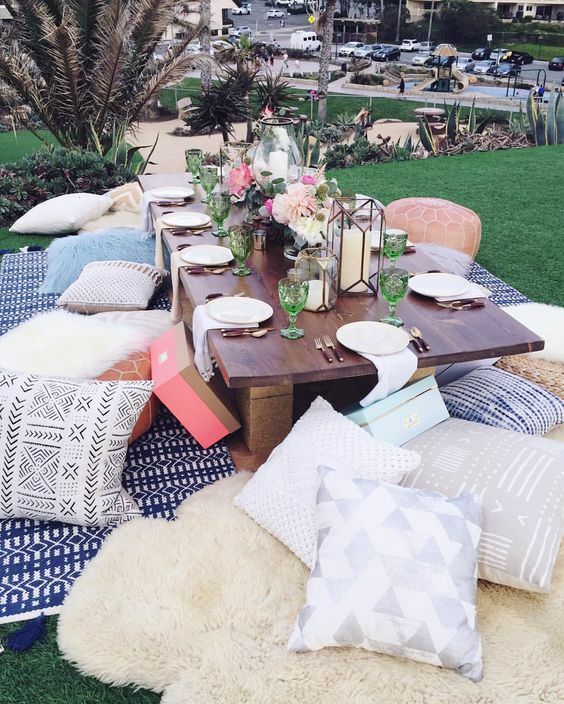 You could take a walk and picnic on a private beach, or an extravagant proposal at an outdoor party surrounded by your friends and family. It’s supposed to be the most magical time of the year. So why not celebrate the love for your partner and propose on Christmas. You could hide the ring in a stocking, or propose under the mistletoe. 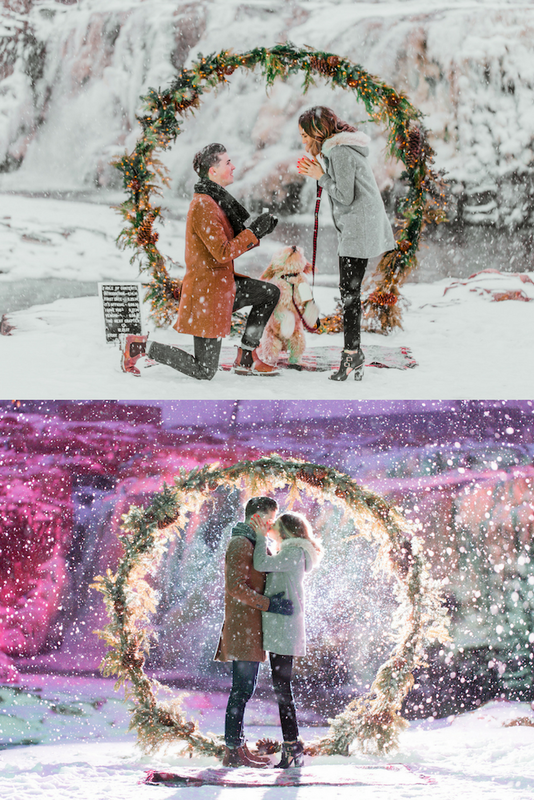 This simple yet magical holiday proposal is bound to excite. You can rent a lovely cottage house (like this Llyn Peninsula Holiday Cottages), decorate it with some lights and a romantic prop that says “Marry Me?”. Or maybe she will find something special gift under the Christmas tree this year? New Year is all about reflection and anticipation. Take a trip down memory lane with a sentimental speech or location that reflects on your love for your partner but also is the start of this new journey. 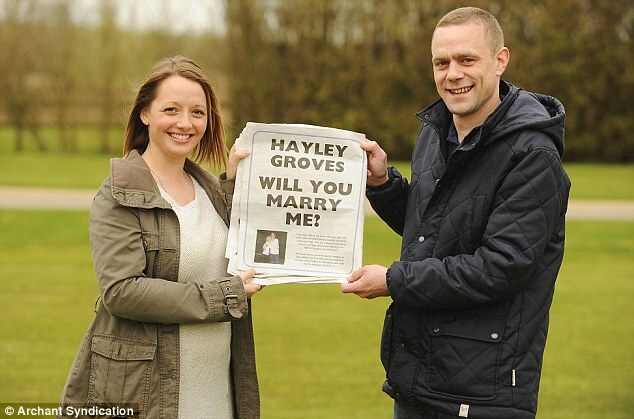 Why not propose in a newspaper advertisement to your loved one. Let’s hope they say yes, or this may be a bit of an awkward reminder. Why not enlist your friends and family for a lip dub of your partner’s favourite song. The choreography for this may be frustrating. When it’s freezing outside why not scrape the ice off their windows into a romantic proposal, this could also be done with autumn leaves on the floor or even arrangement of flowers asking the special question. This simple proposal will have your partners heart melting. 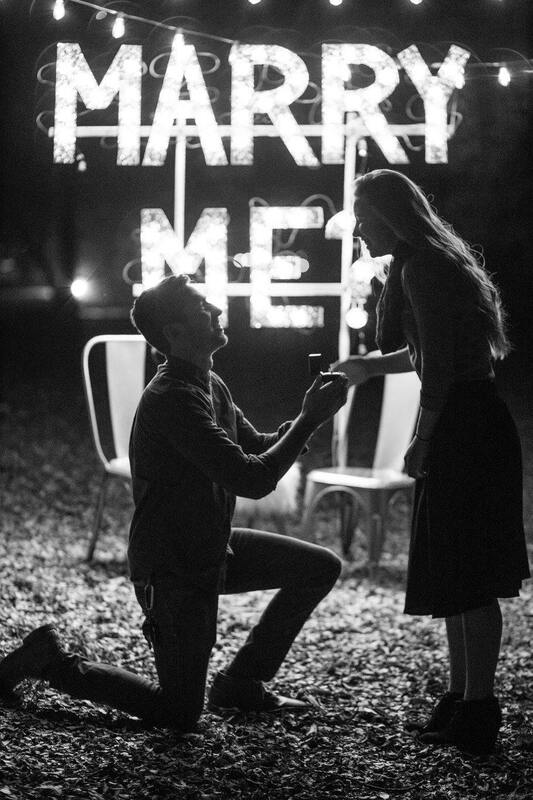 A simple yet effective proposal idea is that you use a sign to propose. Ideas include greeting a loved one at the airport with a sign, hiring a billboard space or even reenact love actually. 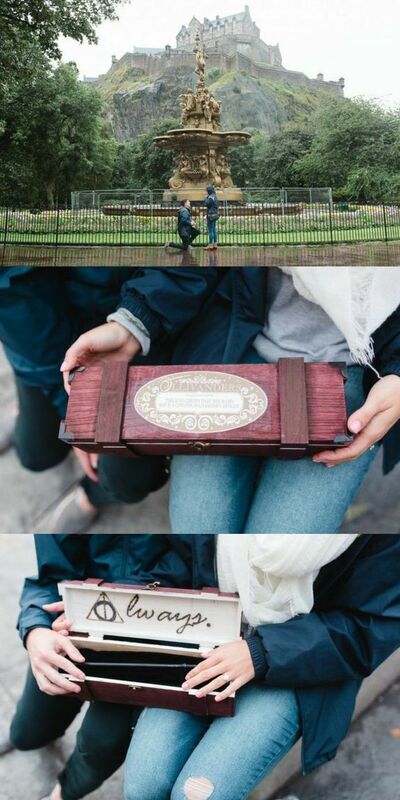 One creative proposal idea is creating a scavenger treasure hunt for your beloved. You can use several objects which have meaning for you and lay them out on a trail with the final one containing the ring or a scroll asking will you marry me. 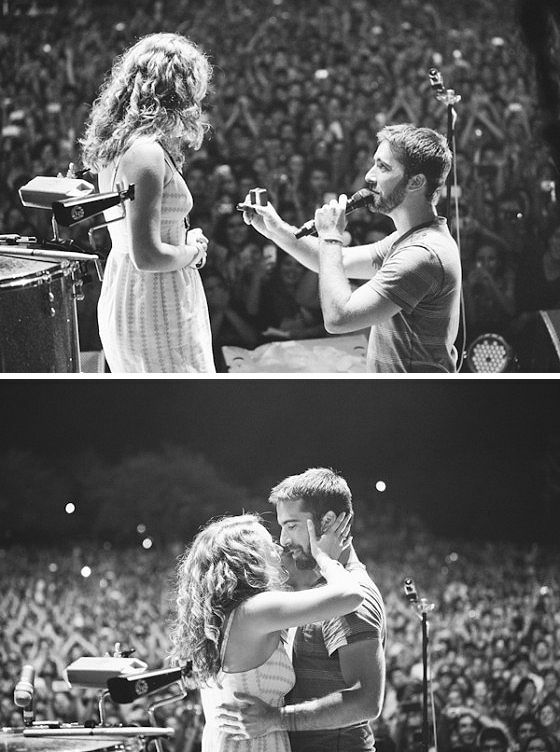 Why not propose at a concert. Whether it is opera, your favourite artist or the ballet this may be the best idea for you. Also if your first date (or place that you met) was at a show this is the one for you! If your partner has a love for the vintage era why not incorporate this into your wedding proposal. 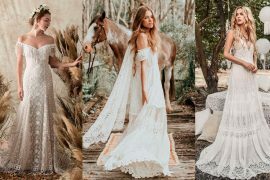 Some ideas include hiring a themed band, a vintage car or even a horse-drawn carriage. 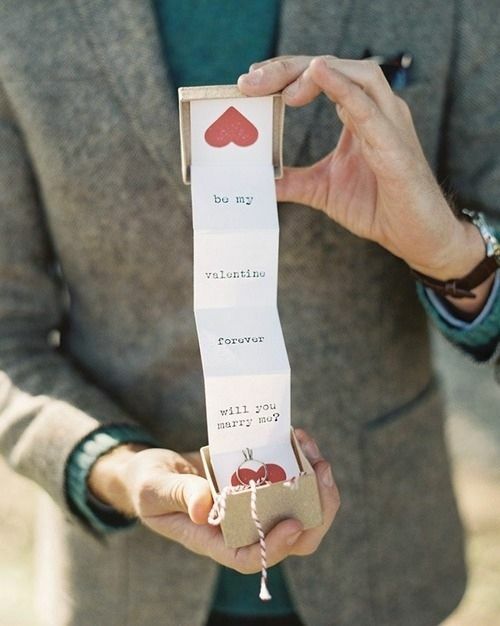 If you are on a budget or simply want to personalise the proposal why not use arts and crafts. The possibilities are endless, you could write the proposal on the pavement with chalk, create a scrapbook, a cute video edited by yourself or even a scavenger hunt with memorabilia of your time together. If your partner is stressed why not pamper them. You could run a hot bath with their favourite bath bomb and surrounded with flowers. Or you could book a spa getaway or perform a sensual massage. 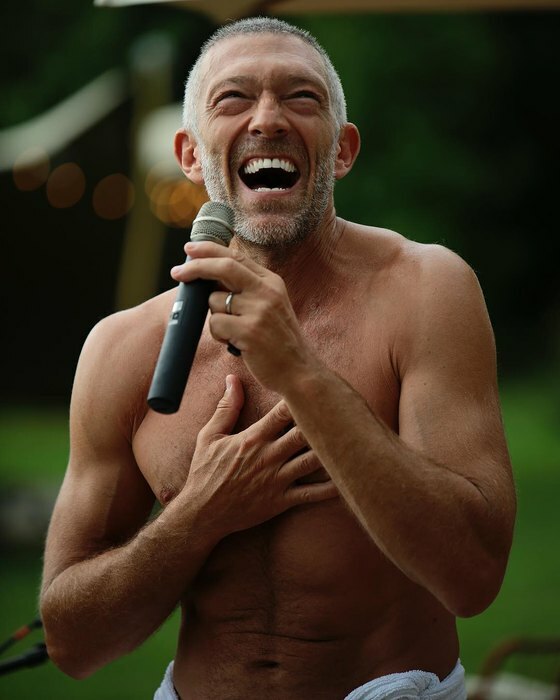 If the key to your partner’s heart is music, why not hire a performer to serenade your loved one, with your favourite songs or the song you met too. Why not go one step further, and write a song, for your loved one to be performed. Why not book an artist through Poptop for this special day. Perhaps you are still unsure of how to propose. 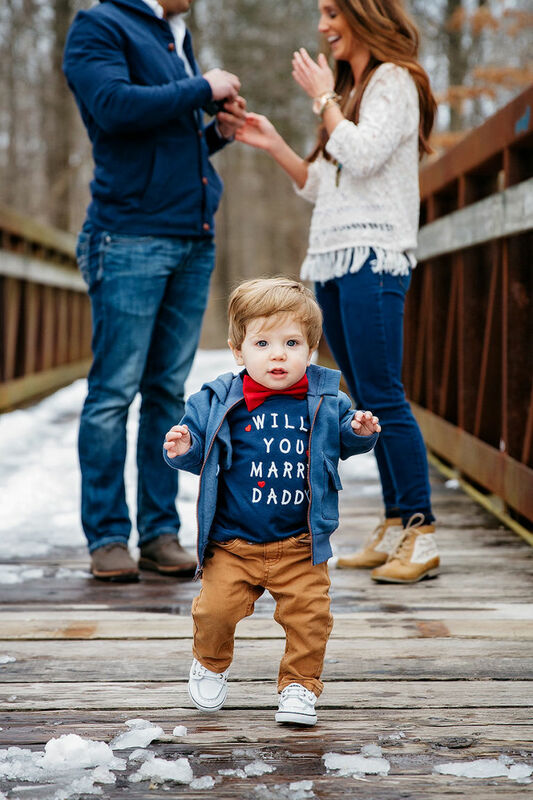 You have multiple ideas and can’t decide how to approach the perfect marriage proposal, why not hire a professional to aid you in your proposal and help plan the special moment for you. Here at Poptop, we have 1000’s of suppliers to help you with your wedding proposal, and of course when they say YES, we’re here for the big day itself. Make sure to make a request and browse through our suppliers to make your marriage proposal extra special. 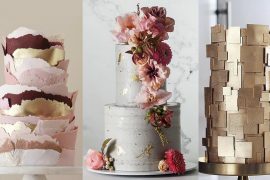 Also, check out our essential tips to perfect event planning in order to organise a perfect engagement party.